Disclaimer: This is the last time I talk about blood oranges this year. I promise. I mentioned a couple weeks ago that we went to Chez Panisse to celebrate my sister’s 18th birthday. The whole meal was delicious, but my favorite was dessert–blood orange ice cream with almond biscotti. 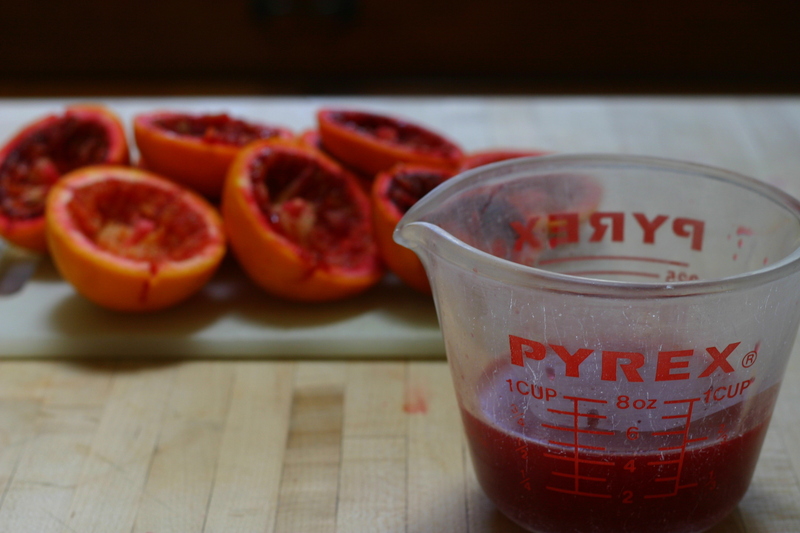 If Alice Waters and I ever met, I’m pretty sure it would be a blood orange love fest. We appear to share the same affinity for this strange little fruit. The minute I got home, I plucked some oranges off the tree and started researching base ratios for my ice cream. The thing about ice cream is that it doesn’t have to be hard to make. I generally try to stay away from custard bases because it requires cooking and more waiting. I know, I’m super lazy. 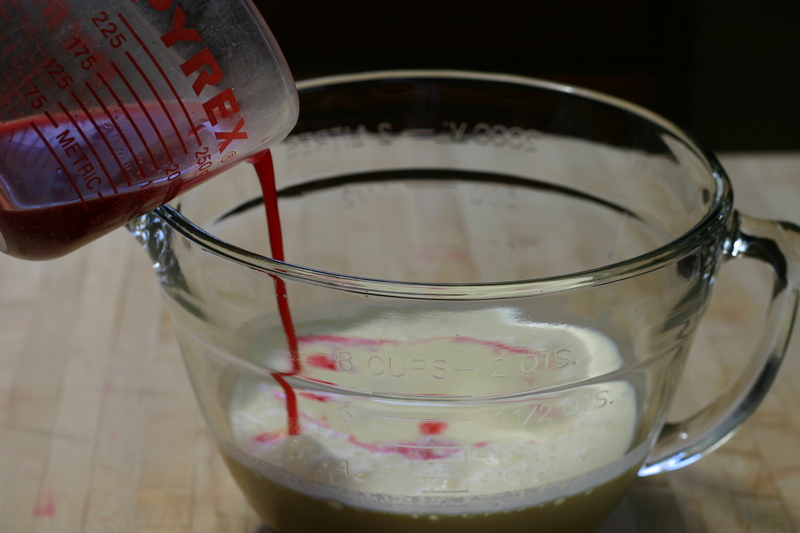 I finally decided on a really simple base of whipping cream, half-and-half, sugar, blood orange juice, and vanilla. Super simple, right! The whipping cream gives the final product a fluffier texture, almost like a sherbet. I actually preferred it to the dense custard-based ice cream we are used to. The ice cream itself reminds me of a slightly more tart Creamsicle. (Do they still make those things?) 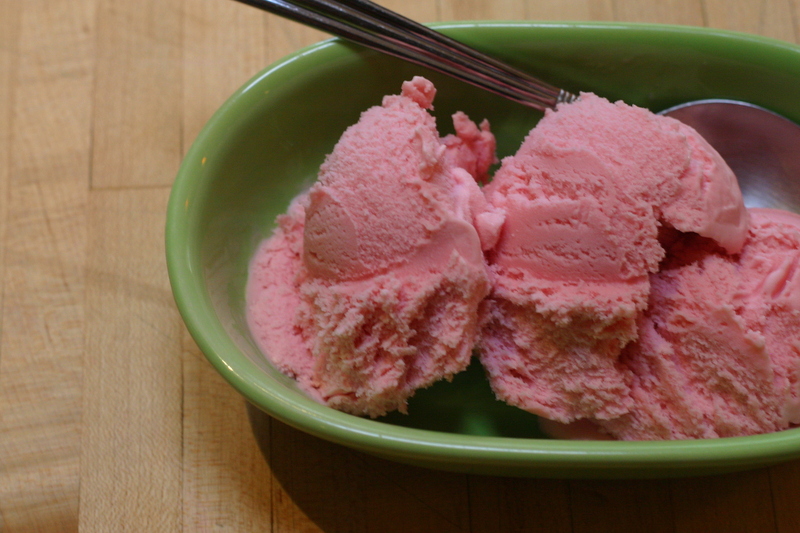 But the best part about this ice cream is its beautiful pink color–so vibrant that it almost looks artificial. Of course blood oranges vary in color, but you’re bound to end up with some shade of pink on the spectrum. I once heard that the more dimpled the rind is on the outside, the more pigmented the juice is on the inside. Who knows if this is actually true. 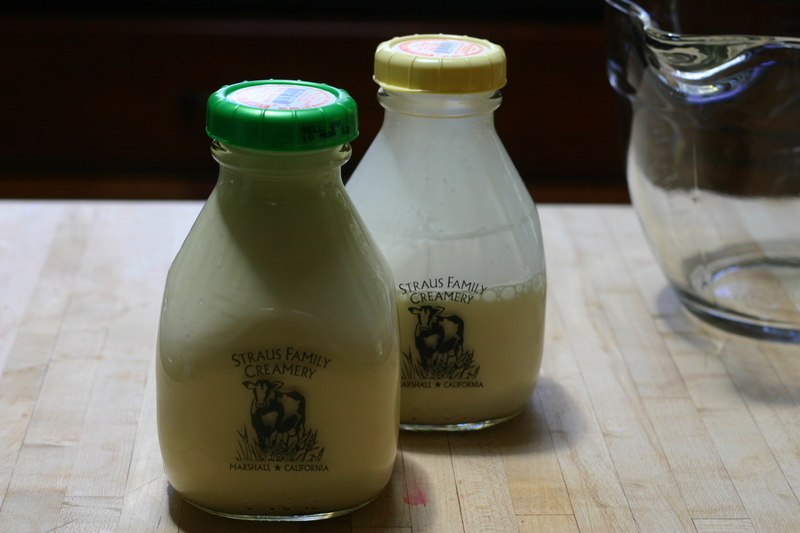 Since there are so few ingredients that go into the base, I recommend buying high-quality whipping cream and half-and-half. It makes all the difference, and I’m not just saying that to be snobby. Also, be sure to use quality vanilla extract–not the crappy imitation stuff. I used my homemade vanilla, which is like the gift that keeps on giving! If you have a little extra time on your hands, try making candied orange peels with the juiced oranges. They look beautiful when served with the ice cream. Anyone else out there love blood oranges as much as I do? What do you like to do with them? Place the bowl in the refrigerator until the mixture is completely cold. 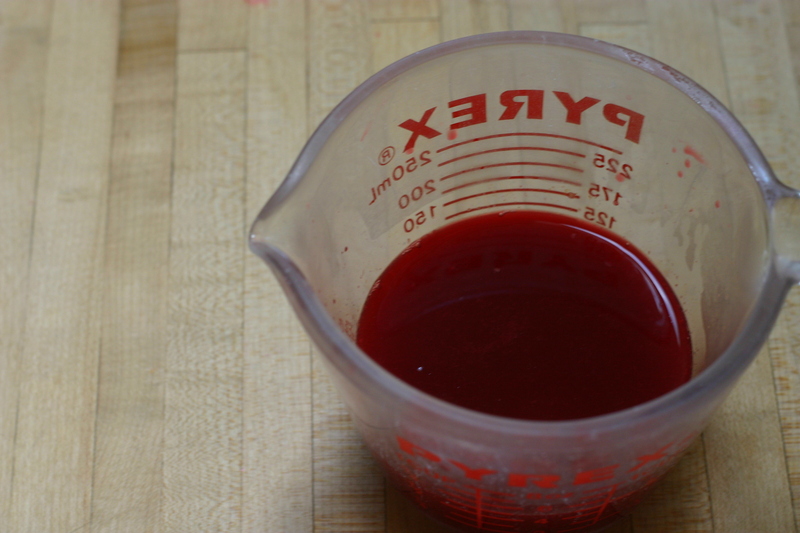 Alternately, put the mixture in a metal bowl and place in a larger bowl filled with ice water. Gently stir the mixture until it’s completely chilled. Add the mixture to your ice cream machine and mix according to the manufacturer’s instructions. Ice cream should look like soft serve at this point. 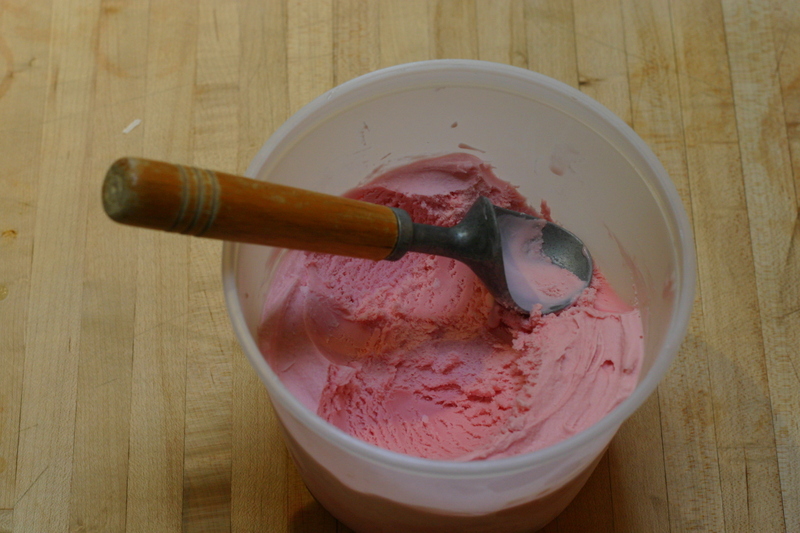 Transfer ice cream into an airtight container and freeze until hard.